The Seattle-based company düber is attempting to fill the space where cryptocurrency and cannabis meet. After raising more than $200 million through an ICO (initial coin offering), the company wants to fulfill the potential of using cryptocurrency in the cannabis industry, where cash still remains the main currency. They plan to do so through creation of dübercoin, a type of cryptocurrency designed specifically for use in the legal marijuana industry. It could change everything from how marijuana businesses track sales to how customers order and pay for their cannabis. 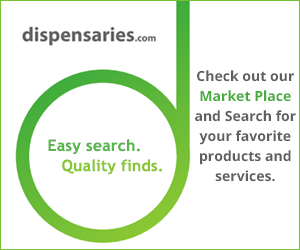 The company provides other services and is already operating in states with both legal recreational and medical marijuana. They provide software that allows for online ordering and global product search, as well as providing digital signage and advertising products. They also plan to launch a home delivery engine for retailers. Essentially, dübercoin is a cryptocurrency designed for use in the cannabis industry. Customers and retailers who use the currency can handle transactions without cash, a major benefit for marijuana companies. That’s because most banks will not offer services to cannabis companies as marijuana remains illegal at the federal level. Dübercoin comes with all the benefits of cryptocurrency, which operates using blockchain technology. That creates a shared ledger of all transactions that is updated by all users and cannot be changed once information is inputted. It puts trust and reliability into the system without the use of cash or credit cards. Dübercoin also rewards customers for certain activities with currency, much liked you’d earn points from retailers for being a loyal customer. Payments could be earned by providing thorough reviews of products or making repeat purchases. Businesses also could earn rewards by providing information to consumers, such as photos of products. Essentially, the system would reward users and marijuana retailers while also creating an easier way for legal marijuana businesses to track their sales. The chief help that dübercoin offers the cannabis industry is that it keeps it from being a cash-only business. Cryptocurrency also could help businesses track income and expenses, making it easier to pay taxes. The cash issue is one that has plagued the marijuana industry. Ballman said some businesses handle as much as $50,000 to $75,000 in cash every day. Not only does that make tracking transactions more difficult, it also makes it harder to create a safe environment for employees, Ballman said.